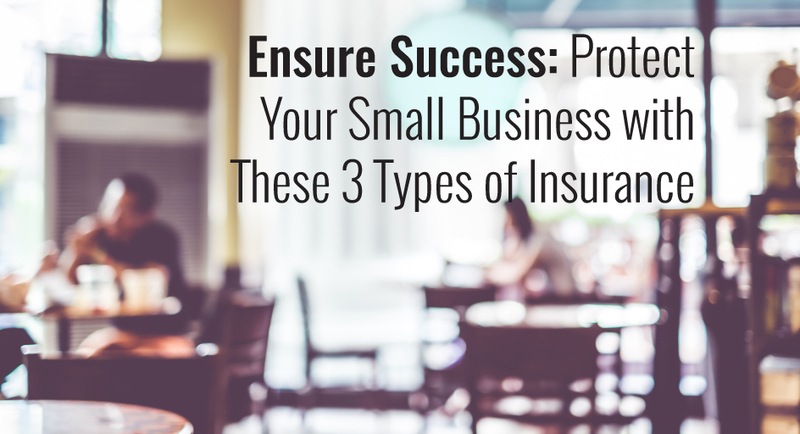 No matter what position your small business is in, there are three types of insurance that we recommend all small business owners to consider. We understand that with any small business, money can be tight. Insurance may seem like an unnecessary expense at the time and although this may feel true, the costs of your premium are nothing compared to your costs if you were paying for legal troubles out of pocket. Whether it’s workers compensation, commercial vehicle insurance or an overall business owner’s, policy, your small business needs to have the right coverages in place. Below, we talk about what each of these policies are and why they are important for your team. An on the job injury can be difficult, expensive and inconvenient. With workers’ compensation plans, your small business can rest assured knowing your company is covered if something were to arise. Commonly referred to as workers’ comp, this insurance covers wage replacement, medical treatment, vocational rehabilitation, and other benefits as well. Keep in mind, injuries do not have to necessarily occur on the job in order for your firm to be held liable. The various situations in which workers comp would be of help are physical injuries on the job, pre-existing conditions accelerated by the job, injuries occurring on breaks and injuries resulting from physical or emotional strain at work. Now that you know what is protected by workers’ compensation insurance, here’s what isn’t: injuries occurring while a worker was committing a serious crime, while they were not on the job, while they were violating a company policy, while they were intoxicated, and also self-inflicted injuries. There are also situations in which both the company and the employee may be entitled to legal compensation. For example, if an injury suffered by an employee is the result of a machine malfunction due to manufacturer negligence, your employees have the right to sue the manufacturer for this. Another great example would be if an employee was driving a company vehicle and another driver failed to yield, resulting in a collision that causes bodily harm. In this case, both the employee and the company are entitled to sue the person responsible for the incident. Although your personal insurance may help to cover some of the costs affiliated with a damaged vehicle, they cannot be relied on in the incident that major damage or bodily injury occurs. In general, states will at least require business owners to purchase liability insurance for bodily injury / property damage. There are also many states that require your business to have uninsured or underinsured motorist’s coverage. This is also referred to as Personal Injury Protection, and helps to cover medical payments as well. Really, commercial insurance for your company vehicles is the best way to know that you are covered as best you can. It’s best to speak with your insurance agent about what coverages should be in place for your firm, as everyone’s situation is different. Since you can customize your coverages to each vehicle, take the time to sit down and go over everything with your agent so that you know you are getting the right limits in place at the right price. For the most part, the Business Auto Coverage Form is used to provide businesses with their auto insurance. Our professional recommendation if you are planning on having some form of commercial vehicles (whether it be a company car or a fleet of rental vehicles), is to sit down with your agent and take into consideration the benefits of your policy. Business Owner’s Policies, or BOPs, are not required by law. However, we recommend for small business owners to consider purchasing a BOP as a general safety net if anything goes wrong that is not covered by the insurance policies listed above. Most business owners policies can be customized and tailored to fit your individual needs. This means your policy doesn’t have to be some wildly expensive and irrelevant coverage that you feel is a waste of precious dollars that could go elsewhere. BOPs typically cover property coverage, business interruption insurance and liability protection. What is NOT covered by BOPs is professional liability, workers comp or health and disability insurance. Some of these are included with the insurance listed above, but some will require additional insurance policies. So we know that BOPs cover property damage, business interruption and liability protection, but what does that actually mean? Property insurance is insurance for all personal property of the company, including buildings and contents owned by the firm. This comes in the form of standard and special coverages which vary in terms of comprehensive coverage. Business interruption insurance covers loss of income you may experience after some sort of unexpected hardship, such as a fire. This should also include costs of operating in a temporary workspace. Finally, liability protection covers your company’s legal burden for any harm it may cause others. This can include any harm that occurred due to something you or your employees have done (or not done) to cause bodily injury or property damage. In short, having these three insurance policies under your belt can help to give you peace of mind that your company has a safety net to rely on if something catastrophic was to occur. Some of these coverages are required by law, but we advocate that having the state minimum is not going to cut it. Take the time to speak with a risk management expert about insuring your small business. Our agents are always available to help you find the best policies, so give us a call today!